Syon Park’s neo-classical Robert Adams’ interior is the inspiration for our new range of luxurious velvet trim which we have named in honour of this spectacular home to Decorex. Neo classical style is the epitome of timeless elegance, which also happens to be Jones’ hallmark – and our Syon trim has been designed to inject an air of opulence into a home without being ostentatious. The velvet trend shows no signs of slowing down and Syon delivers refinement and detail to soft furnishings. From cushions to upholstery, its rich, soft and subtle jewel tones range from a gorgeous burnt orange, to a deep forest green. Also new to Jones’ trimmings collections is our fun and enchanting Cipolla (Italian for Onion). 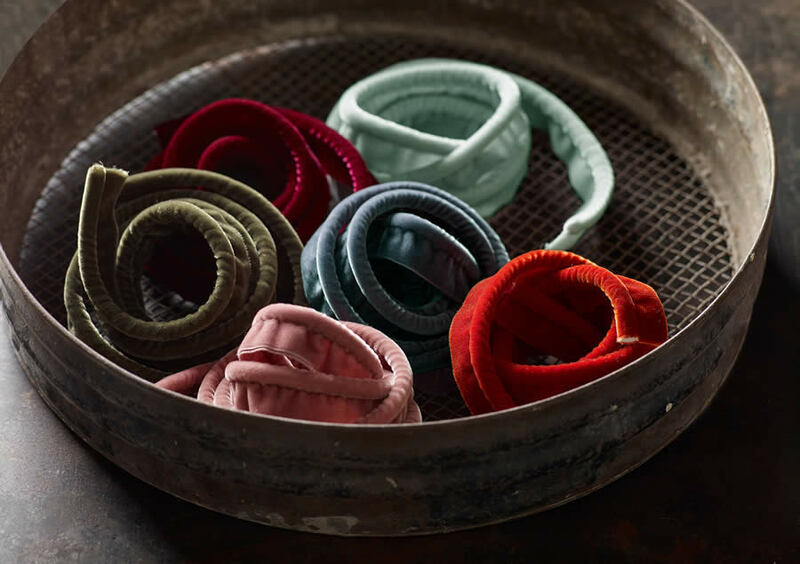 Designed as an alternative to popular pom-pom fringes, its colours have been carefully selected to work beautifully with 2018/19 trends and works well in both contemporary and traditional settings. Our little Cipolla is adorable. Check out previous and future blog posts detailing more of our innovative products that we’ll be launching at Decorex. We are particularly proud of the new bespoke painting service on our handcrafted curtain poles and our show-stopping Art Deco-inspired Luxor tieback. We hope to see you at Decorex 2018 this weekend! We’re at at stand H27 to proudly present these wonderful new additions to our portfolio.